Finally, you can stuff your gut full of delicious smoked meats and not feel guilty about it! Snider's Bros. Meats and The Intermountain Barbecue Association are hosting an event to raise money for The Wounded Warrior Project. 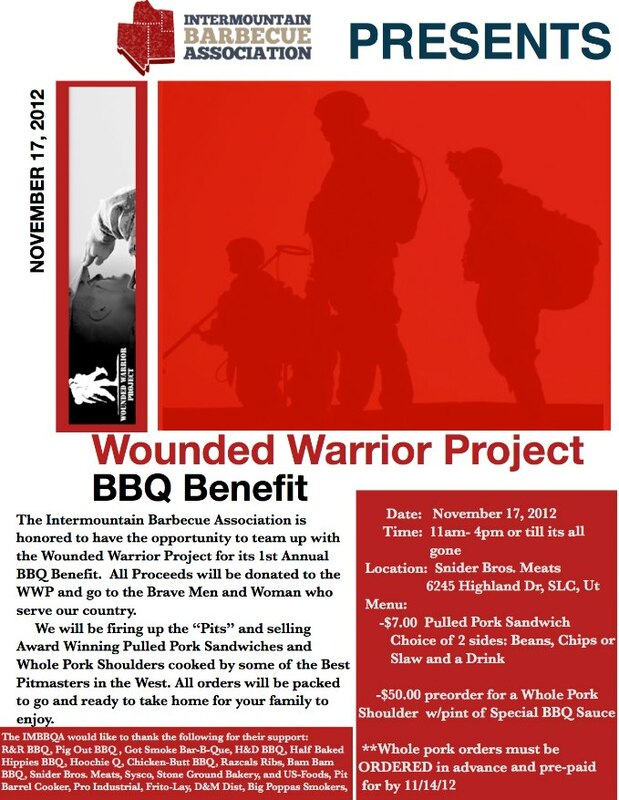 Stop by to support this tasty charity event and enjoy some of the best pulled pork you will ever stuff in your face. Location: Snider's Bros. Meats parking lot. 6245 S. Highland Dr.
Reason: Pulled Pork Sandwiches and Honoring those who have sacrificed so much on our behalf - what's not to love? !